Although the fact that Peter Capaldi is playing Doctor Who’s 12th Doctor might imply there have only been 12 regenerations of the time-traveling alien, the show’s recent 50th Anniversary special added an unexpected twist: It turns out there was a hitherto unmentioned regeneration that existed between the Eighth and Ninth Doctor and participated so horrifically in the Time War that the Doctor decided he doesn’t really count. 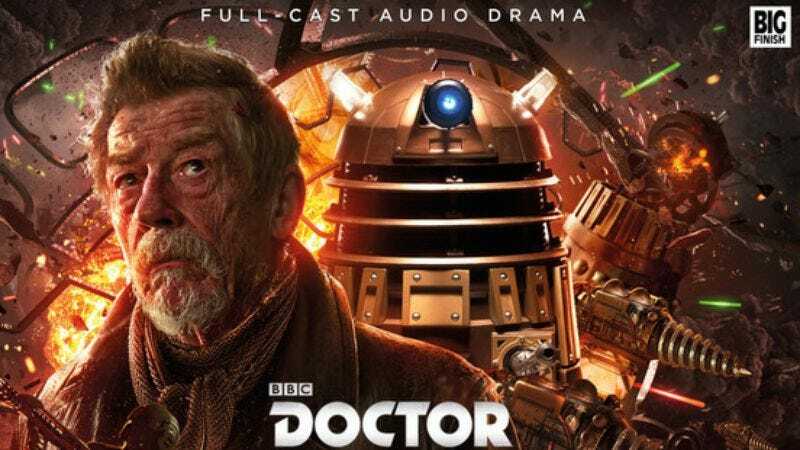 While John Hurt’s one and only appearance as the War Doctor was an odd little footnote in Doctor Who history, the actor will now be reprising his role in a new set of audio plays. According to Digital Spy, Hurt will lend his voice to a new 12-part audio series from Big Finish Productions—the British company that has been producing semi-canonical Doctor Who audio adventures since 1999. While Big Finish has long featured actors from the “classic series” reprising their roles—including former Doctors Tom Baker, Peter Davison, Colin Baker, Sylvester McCoy, and Paul McGann—the company only recently extended its license to cover some characters from the new series as well. Big Finish is also planning to release a prequel box set featuring McGann’s Eighth Doctor in the early days of the Time War—something that was touched on in the webisode “The Night Of The Doctor,” which itself was a prequel to the 50th Anniversary episode. The audio prequel, Doctor Who: The Eighth Doctor—The Time War, will be released in November 2017, by which point showrunner Steven Moffat will likely have introduced even more secret regenerations and/or continuity-changing twists for Big Finish to expand upon.